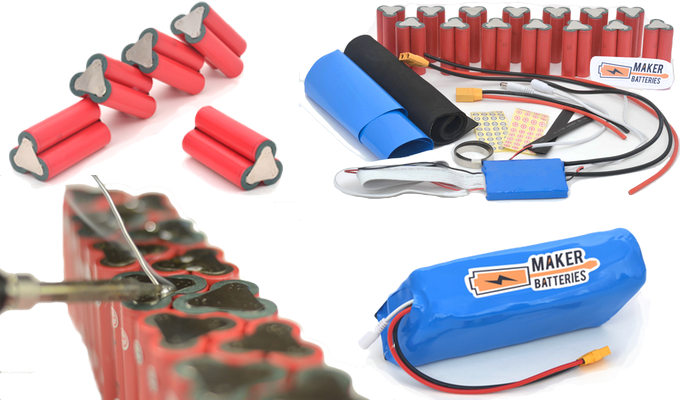 Maker Batteries: Build Your Own Lithium-ion Battery Packs—A Kickstarter. 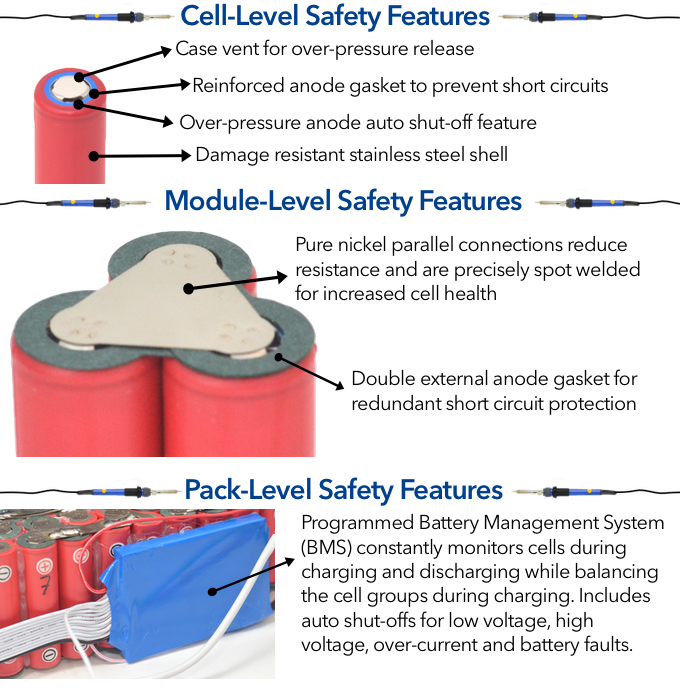 This shows you what is included in a make it yourself battery pack. These are exciting times for lithium batteries. They are light, powerful and efficient. They too can be pricey, so finding a way to have the packs meet you exact needs and saving some money doing it sounds good to me. You might know Micah through his fantastic book I reviewed (and wrote the forward too). Titled “The Ultimate Do It Yourself E-Bike Guide”, it is the go to book for people building their own electric bicycle (see the link below). I would think it is already in you personal library. These packs featured in his Kickstarter are designed for E-bikes, R/C hobbies, home energy systems, yet you can build and use them for so many purposes. The do require DIY skill and knowledge (tools too), but they include full instructions to help with your success as you move forward to the future of energy storage. His Kickstarter page is well written and illustrated, to make sure you can understand your commitment and finished product. These are just some of the highlights of the kits. In fact, the page is so informative I won’t spend too much time here trying to explain it all. Through the years I have built many battery packs for my hobby and work interests. They were all with simpler batteries that have a better safety record. Just soldering was the way to go for them, but modern lithium batteries require a specialty welder for the actual connections to the cells. This is the key feature of these packs. The larger part (packs) can be configured in so many ways, yet the individual cell packs are pre-welded. Just like kits through the years (Heathkit—Dyno—model airplane and cars—Ikea? ), the satisfaction and thrill of having just what you want is big. Knowing you did yourself is bigger. Saving money is that much cooler too. They might not work for all, but work great for so many. Some want ready made (often not exactly what you want or the price you want to pay) goods. Even still, there are hoards of people that want so much more. That is what Micah is offering in the name of lithium batteries. You will need some tools. Last up is the price savings. The numbers push to about a 50% saving on average, even more in some situations. Many E-bikes use batteries that are enclosed in plastic or aluminum housings. In most cases these Kickstarter packs can be put inside those housings without too much extra work. Most DIY E-bike conversions use all types of packs and all those can be replicated with the Maker Batteries. You might notice this Kickstarter is winding down quickly. I personally would be unhappy to see this great product slip away if it doesn’t get fully funded. Just in the E-bike world there are thousands who could use this product—right now and in the near future. Don’t let it slip away. Remember, These batteries don’t build themselves or come fully assembled, but if you have the need and the skills, it could be the perfect way to go. Power up your future, Turbo Bob. “Riding a bicycle is about getting back to basics. It’s good for the waistline and it’s good for the wallet, is what I’m saying”. Phil Keogham. Here is the link to this great Kickstarter. This seems to be just the video, yet on the Kickstarter page the info is very complete. You can find that on the Kickstarter page if this link isn’t enough. Here is a link to my review on Micah Toll’s book. This entry was posted in Bike accessories, E-bike general interest, Opinion. Bookmark the permalink. Still too much work involved and MINIMAL savings compared to what you can buy off the shelf Especially after you add in all the “supplies”. This is a concept that is more of a solution to a problem that doesn’t really exist. However Grin Cycles (Justin) has a really solid concept that allow you to CONFIGURE packs with BMS, Andersons, and Modularity. Plus safety built in. So while some in the DIY community might enjoy the maker concept, I think most consumers would opt for the Grin “Ligo” option. Plus they are 98 Watt Hr and can be shipped without the upcharge for hazardous products. Not knocking what Micah has done, I just think Grin is ahead on the curve. There is probably room for both… but after checking Luna Cycle pricing for similar packs to his kits I’d just save myself the hassle and buy prebuilt for bikes… for RC and Drones maybe the configuration options are move valuable.